Oppo will announce the Find X on June 19 in Paris, France. With the event being closer and closer, we find more and more leaks of the true flagship. The latest bit of info is the TENAA certification of the phone, carrying two model numbers - PAFM00 and PAFT00, meaning the device is ready to appear on the market shelves. The two listings have since been removed but the information is already out. We are sure this is the flagship Oppo is preparing since the chipset has a 2.8 GHz CPU, likely the Snapdragon 845. The RAM is listed as 8 GB on both versions, and the Android OS is Oreo, but we expect Oppo to plaster their ColorOS on top. The screen will be 6.4” with AMOLED panel and this is good news, because we might see a fingerprint scanner underneath. The camera setup looks intriguing - the dual setup is listed as 20 MP + 16 MP. If we read the teaser from yesterday properly, one of the sensors will have a telephoto lens and might arrive with 5x optical zoom. 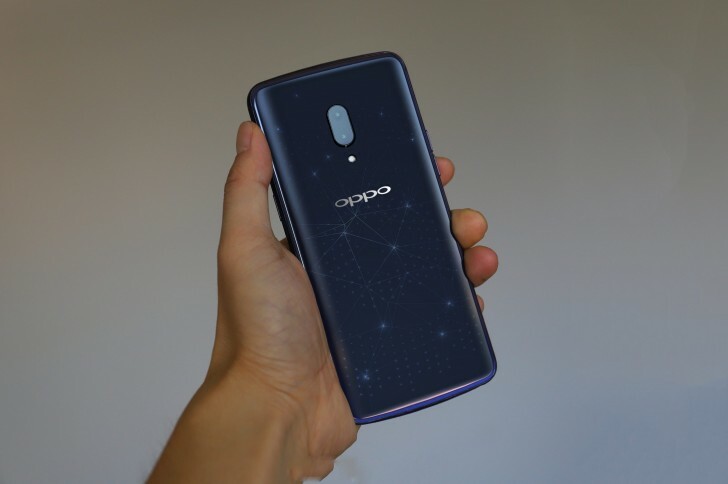 The selfie snapper is listed as 25 MP, which would be an update from the 20 MP snapper we saw in the Oppo R15 Pro. With a 156.7 x 74.3 x 9.4 mm body and 186 g weight, the phone will have 3,645 mAh battery that will likely support VOOC charging of 20W that can charge half the power cell in 30 minutes, as we established in the review of the current high-end Oppo device - the R15 Pro.